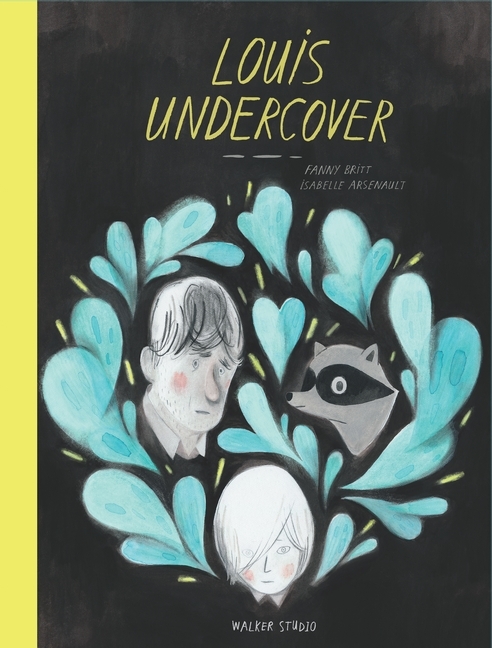 In this powerful new graphic novel from Fanny Britt and Isabelle Arsenault, we meet Louis, a young boy who shuttles between his mum’s home in the city and his dad’s house in the country, with his little brother, Truffle who loves to sing James Brown songs. While coming to terms with the sadness and complexities of his divorced parents’ relationship, Louis – with the help of his best friend, Boris – is also trying to summon up the courage to speak to his true love, Billie. Seen through the eyes of Louis, this is a beautifully illustrated, true-to-life and hopeful portrayal of a complicated but loving family, and how a wise and sensitive and brave boy still manages to find his own way forward in spite of everything. Fanny Britt is a writer, playwright and translator. She has written a dozen plays and translated more than fifteen. She is the winner of the Governor General’s Literary Award in Drama for her play Bienveillance. Isabelle Arsenault is an internationally renowned children’s book illustrator whose work has won many awards. Her books include Alpha, Once Upon a Northern Night and Jane, the Fox and Me among others. Fanny Britt and Isabelle Arsenault first collaborated on the graphic novel Jane, the Fox and Me, winner of the Governor General’s Literary Award for Children’s Illustration and the Joe Shuster Award for Best Writer and Best Artist. It was also named a New York Times Best Illustrated Children’s Book.